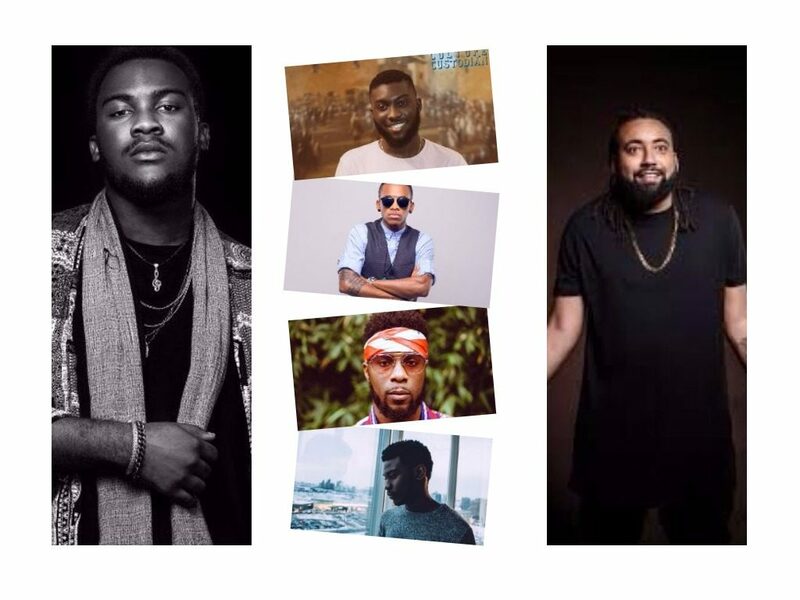 Here are 6 Nigerian Artist-Producers who after the first two months in 2017 look like they’re going to own the year. Adey Ogunlesi has made music for the past couple of years, recording with the likes of Dammy Krane, Falz, Tiwa Savage and Davido prior to their mainstream acceptance and as early as April 2011. Since then Adey has predominantly produced with references like Dremo’s Ojere, Boj Paper, Davido and Iceberg Slim’s Wave and YCee and Reekado Banks’ Link Up. Adey has also delivered tracks like Nana, Bad and Dirty Diego and recorded with the likes of Mr Eazi, YCee and Odunsi as well as produced yet to be released tracks featuring Olamide, Mr Eazi, Maleek Berry, YCee and Davido. 2017 shall see Adey release his first body of work and possibly establish himself more as a household name in the Nigerian music industry. Production References: Ojere by Dremo, Wave by Iceberg Slim & Davido, Paper by Boj, Flex by Amina, Link Up by YCee and Reekado Banks, Your Level by D-O. Artist References: Dirty Diego, Beremole, Ijo Krane. Austin Miles Kelechi first burst onto the scene with his 2013 effort, Holiday which featured Davido. Over the years, Tekno has become one of the more highly rated acts with particularly impressive runs in 2015 and 2016 when he delivered offerings like Duro, Wash, Pana, Where and Diana. His stellar delivery on Pana landed him an international deal with Sony’s Colombia Records where he remains the only African on the roster. As an artist, Tekno cannot be faulted however also in Tekno’s repertoire sits production skills which he has unleashed on efforts like Victoria Kimani’s Show and Davido’s latest track, IF. Tekno’s Colombia Records deal is reportedly a three-track deal and if he wants it renewed which we are all sure he does, he must deliver and most people are in no doubt Tekno will. Production References: Show by Victoria Kimani, IF by Davido. Artist References: Pana, Duro, Diana, Wash.
Bowo Odunsi can be said to be one of the poster boys of the newest generation of artists. His 2016 effort, Adura introduced him to the world and he quickly followed up with his debut project, Time of Our Lives EP which was held in high regard by many. As he has become more involved in his own music, he has pulled back on creating as many beats as he previously did, however, Odunsi The Engine benefits from the duality in that he is often heavily involved in the engineering of his sound himself and proof of this is tracks like Vibrate, Happy Hour, Vanilla Freestyle, Situationship, LoverMan and Desire which he either fully self-produced or served as one of the producers involved. As an artist, he has references like Situationship, Jungle Fever, Wuse II and Gangster Fear which will leave you in no doubt about his quality. In 2017, Odunsi looks to release his first LP. He has begun getting the attention of more established acts like MI, YCee and Maleek Berry and the only way is up. Production References: Vibrate, Vanilla Freestyle, LoverMan. Artist References: Situationship, Happy Hour, Gangster Fear, Desire. Maleek Berry Shoyebi made his breakway into the Nigerian music industry in 2013 for his track The Matter featuring Wizkid. Despite being credited with that particular effort, Maleek lended little to no vocals and so could be said to be the producer behind it as opposed to an artist on the track. Maleek had tried his hands at many tracks prior to that however, The Matter was the track that truly introduced him to many Nigerians and in no time Maleek was signed to STARBOY. 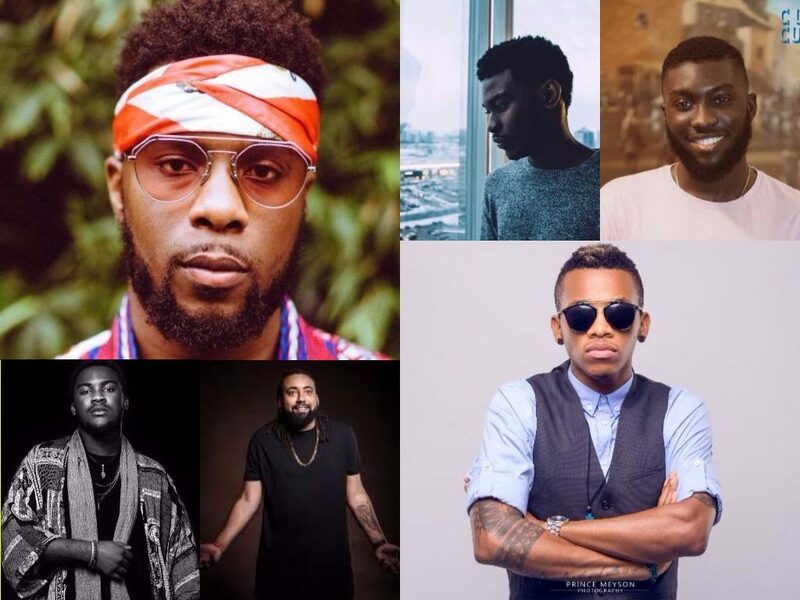 Over the past three years, Maleek has without doubt become one of Nigeria’s leading producers with tracks like Wande Coal’s Baby Hello and Runtown and Wizkid’s Lagos To Kampala as references however, he never really made the transition from producer to artist until 2015 with initial tracks like They Know (Wan Mo), For My People (Feat. Sneakbo) and One Life (feat. Wizkid). Maleek then consolidated his position in 2016 with tracks like On Fire and Kontrol which paved the way for his impressive EP titled Last Daze of Summer. At the moment, Maleek is on tour in the US, has already continued the onslaught into 2017 with 4 Me and could possible serve a follow up project. Maleek has successfully conquered both the producer market and the artist market and 2017 shall see him continue to grow and possibly achieve superstar status. Oh yeah, we have it on good authority that Maleek, Wiz and Wande have a madness recorded and could be dropping anytime from now. Nonso Amadi is yet another poster boy of the New Age movement. His hit single, Tonight put him in the spotlight in 2016, however, his music journey could be said to have begun in 2014. From the jump, Nonso Amadi has self-produced some of his tracks like Lost, Tonight, Alaroye and BurnaBoy. Amadi has also produced tracks like Muyiwa and Tofa’s Rara as well as Oma Mahmud’s Ride. Amadi’s sophomore EP was scheduled for release at an earlier time however, it was withdrawn suggesting he returned to the drawing board. We gather from insiders that Amadi and Odunsi have a yet-to-be released effort which very much could be the “one.” His most recent release, Radio has earned him new lovers and garnered the attention of industry heavyweights. Amadi’s track record is up there and without a doubt, 2017 shall be kind to him. Tay Iwar is 19 and two projects deep already. He started releasing music back in 2014 and some tag his debut project, Passport as the rawest show of emotions by a Nigerian singer yet. From the jump, Tay has produced his own music as well as delivered the melodies. Over the years, Tay has seen his tracks featured on shows like Skinny Girl in Transit and Gidi Up. Earlier this year, Tay completed a degree which affords him more time to create music. If as a student, in two years we saw him dole out two stellar projects, there is no doubt that with all his time focused on music, he’ll create much more and most likely better. Production References: Cleo, Alice by Lady Donli, Mr Creeper. Artist References: 2 Sipping, Desire, Wuse II, Pain, Equestrian Love.